Diatomaceous earth is a naturally-formed sedimentary mineral rock. It’s derived from the remains of diatoms, or oceanic unicellular algae. Diatoms are over 30 million years old and are formed from the cementation of microscopic algae-like plant remains into the earth’s surface. These clay-like, chalky remains are usually found in the form of a thick, white, siliceous powder known as Diatomaceous earth. Often used to support body cleansing, some research also suggests it’s a natural tool for promoting normal blood lipids, detoxing toxic metals, and fighting harmful intestinal organisms. 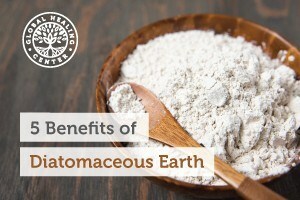 The use of diatomaceous earth knows no bounds, and has many applications in cosmetic, agricultural, and cleansing realms. It’s been extensively investigated and some interesting benefits have been discovered. Food-grade diatomaceous earth is composed of approximately 85% silica. This important, trace mineral is required by tendons, cartilage, blood vessels, and bones. The nutrient even contributes to almost every vital organ, including the heart, liver, and lungs. Food was the primary source of naturally-occurring silica before modern farming practices depleted the soil. It is suggested that only 1/3 of the silica we need is available in natural, plant-based foods. Because diatomaceous earth is a strong abrasive, it is often used as a toothpaste and facial exfoliator. The process of exfoliation is important in skin care as it helps to remove dead skin cells that may give the appearance of tired, worn-out skin. The product’s natural silica content is also necessary for healthy skin, teeth, hair, and nails, and the product is often touted as a potent beauty mineral. Research has also shown that food-grade diatomaceous may offer positive benefits for cholesterol levels and encourage heart health. Nutrients such as silicon, calcium, sodium, magnesium, iron, and other trace minerals are available in diatomaceous earth, giving rise to a practically endless supply of health benefits. Most of these nutrients play a role in building and repairing of muscles and bones. One of the most common uses for diatomaceous earth is as a natural insecticide. Studies indicate that this clay-like powder can kill the harmful insects that threaten crops and home life. Due to the incessant use of pesticides, many insects have become resistant to chemical deterrents. 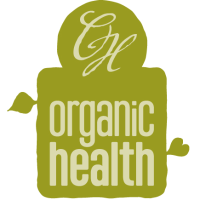 This organic pest control method is helpful for reducing the amount of environmental toxins we’re all exposed to. Diatomaceous earth acts as a mild abrasive topically as well as internally. It can help to remove intestinal invaders and other harmful organisms from the digestive tract. As an internal cleanser, diatomaceous earth may aid cleansing by supporting regularity and assist in removing toxic metals. Some studies have shown diatomaceous earth to be very successful in ridding animals of harmful organisms. Food-grade diatomaceous earth placed in the feed of livestock may help discourage fleas and other harmful bugs. Make sure that all diatomaceous earth is labeled “food grade” and is untreated and unheated!